At the end of a long winter I find myself eagerly waiting for the first signs of spring. It will manifest itself in different forms: the first snowdrop flower, the daffodils poking through the fallen leaves, the first ducks in the pond… But once spring gets under my skin I just can’t help myself; I have to go out and buy some potted violets. First color of the year! I always tape a few flowers in my diary so I have something to look at next winter. 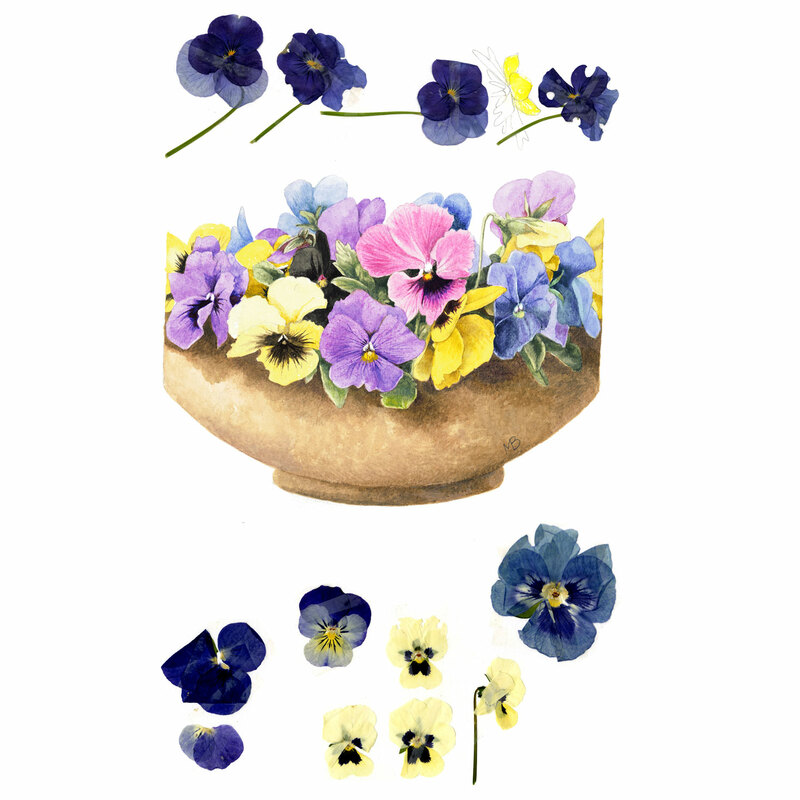 There are so many varieties of violets, and so many colors! But there are also some growing in the wild: we will soon see common violets bloom in the woods here in Missouri. They are more delicate than what is generally available at the nursery and the purple flowers look beautiful in the otherwise still brown woods and thickets. I love this season!